This tutorial will guide you in importing the existing Java dynamic web project in your Eclipse workspace. This is helpful for the fast development of work instead of creating a new project and copy all classes, jars, JSP, etc. file one by one. In this tutorial, I have used the Eclipse Mars IDE. 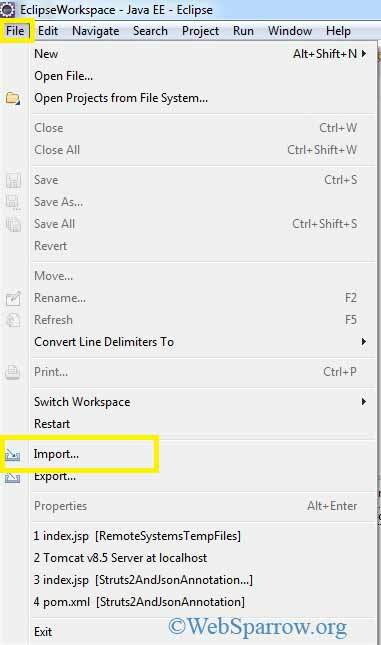 Step 1: Open your Eclipse IDE and go to File » Import. Step 2: Search for Existing Projects into Workspace or go to General » Existing Project into Workspace » Next. 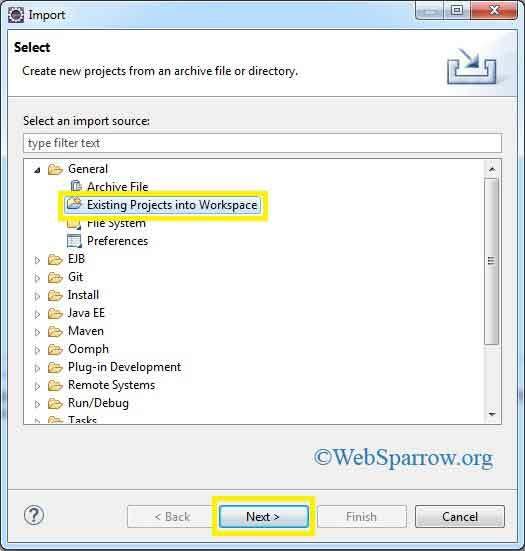 Step 3: Browse your Web Project from the root directory and click on Finish button. 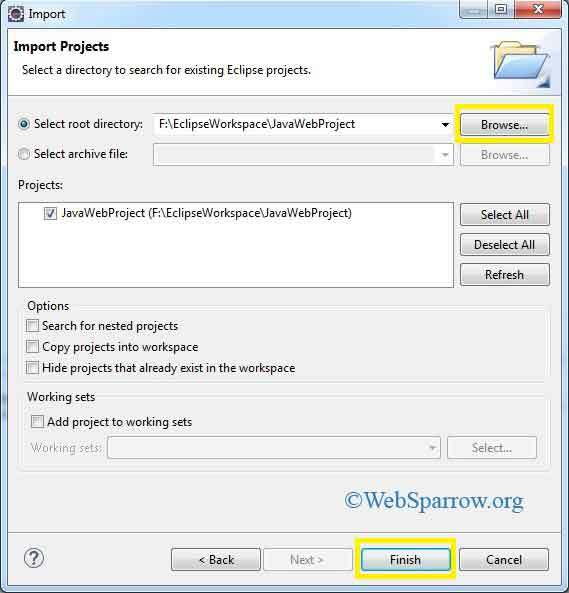 Step 4: It will import the project in Eclipse IDE.